After rocketing higher mid-year, silver has spent most of the third quarter drifting sideways to lower. This has naturally weighed on sentiment, with investors and speculators alike growing more bearish during recent months. Yet silver remains way undervalued relative to its primary driver gold, so silver’s young bull market is far from over. This metal’s upside from here is still massive as it mean reverts higher with gold. Silver has always been exceptionally volatile, which is partially a function of this market’s relatively-small size. The world’s leading authority on global silver supply and demand is the venerable Silver Institute. It reported total worldwide silver demand of 1170.5m ounces in 2015. At last year’s average silver price of $15.68, that works out to an annual market value of $18.3b. That’s practically a rounding error! According to the World Gold Council, that metal’s top fundamental-research organization, overall global gold demand in 2015 ran 4218.1 metric tons. At last year’s average gold price of $1159, the global gold market was worth $157.2b. Thus silver’s market is only a little over 1/9th the size of gold’s by the latest available read! So any dollar flowing into silver should have about 9x the price impact of one bidding on gold. At the end of August, fully 260 of the 500 elite component companies of the benchmark S&P 500 stock index had individual market capitalizations larger than the size of 2015’s global silver market! Silver is such a tiny market in the grand scheme that it doesn’t take much investment buying to catapult its price dramatically higher. This great potential for big and fast gains is what makes silver so alluring to traders. But they don’t get interested in silver until gold flashes a green light. Gold has always been silver’s primary driver. Investors and speculators tend to ignore silver until gold itself has rallied far enough for long enough to convince them its run higher is sustainable. Then they start moving capital into silver, which rapidly blasts its price higher since it is such a small market. This is exactly what’s happened this year. Back in mid-December, silver was dragged to a miserable 6.4-year secular low by gold falling to its own worst levels in 6.1 years. Futures speculators widely believed the Fed’s coming rate hikes would devastate gold, despite this metal’s long history of actually thriving during Fed-rate-hike cycles. While gold soon started rallying out of those extreme lows driven by enormous gold-ETF buying, silver lagged gold’s advance. Silver merely rallied 3.1% to gold’s 5.4% in January, and 4.5% to gold’s 10.9% in February. That was terrible leverage of 0.6x and 0.4x, far below silver’s typical 2x to 3x amplification of gold moves. Like so many other times in history, silver didn’t catch a real bid until traders were convinced gold was heading even higher. That critical sentiment shift for new silver bulls finally began in March, before accelerating in April. Silver climbed 3.7% in March despite gold’s 0.6% retreat, and then soared 15.3% in April to gold’s mere 5.1% gain! This 3.0x leverage proved silver was finally picking up steam in the wake of gold’s new bull market. That big April rally catapulted silver up into an official new bull market of its own, gaining more than 20% since its mid-December low. But the real silver excitement started later soon after that Brexit vote. On that late-June Friday when this vote’s surprise results first became known, silver only surged 2.6% compared to gold’s epic 4.8% single-day gain. But a few trading days later, silver would rocket with a vengeance to catch up. Over a 3-day span straddling the end of Q2 and dawn of Q3, silver soared 2.9%, 2.6%, and 5.0% higher! That giant 10.8% 3-day surge trounced gold’s 2.3%. Silver was really starting to shine. Unlike gold which hit a major interim high in early July, silver managed to defiantly grind higher heading into early August. By the 2nd silver’s young bull market had extended to a 50.2% gain over 7.6 months! Traders were starting to get excited about the lagging white metal, right when it was ready to roll over into a healthy correction. Over the next several weeks, silver dropped 10.0% on a minor parallel 3.0% gold loss. Silver faltering again slammed sentiment, spawning widespread doubts about this young silver bull’s staying power. But this mounting bearishness was unfounded. Even at its early-August bull-to-date peak, silver remained way undervalued relative to gold. Silver not only continued to lag gold, but silver’s price was low absolutely and its young bull was far too small per modern precedent to give up its ghost. Silver’s powerful bull markets of the past decade or so have all started out the same way 2016’s has, with silver really lagging its primary driver gold. When gold suffers major corrections or bear markets, investors and speculators alike flee silver. Their selling has a disproportionate downside impact since silver’s market is so small, forcing silver to amplify gold’s weakness. But those fearful depths birth major new bulls. Remember our current specimen has powered 50.2% higher at best so far over 0.6 years. Incredibly that isn’t very impressive at all by silver’s wild standards. Back in 2005 and 2006, silver rocketed 124.0% higher in a similar 0.7-year span. While such big and fast gains left silver drenched in greed which ultimately killed that particular bull, the lesson today is a 50% half-year silver bull is far from exceptional for this metal. Following a sharp-yet-short-lived bear market, silver’s next bull soon began grinding higher. That would carry silver 114.3% higher in 1.7 years ending in early 2008. That happened to be silver’s smallest major bull market of the modern era, still more than a double. And once again it ended as silver grew popular, with a spike to new bull highs. Soon after that silver got sucked into 2008’s first stock panic in a century. While silver is a popular investment in some contrarian circles, it is exceedingly speculative. So when anything in the broader markets spooks traders and dampens their desire to take risks, silver sentiment really suffers. This includes sharp stock-market selloffs. While gold drives silver generally, on big stock-market down days silver tends to follow stocks lower. Its losses split the difference between gold and stocks. So it’s not surprising at all silver was crushed during 2008’s stock panic, an epic maelstrom of fear. This metal was bludgeoned far lower than it should’ve been based on where gold was trading. Those very extreme stock-panic lows birthed silver’s next bull market, which would skyrocket 442.9% higher over the next 2.4 years! It actually climaxed in something of a popular speculative mania, everyone loved silver. So this year’s 50% bull-to-date gain in silver is nothing. It’s hard to even imagine a silver bull where this metal doesn’t at least double. Silver’s last 3 major bull markets between 2005 and 2011 averaged gains of 227%, well over triples. And when silver bulls start from exceptional fear-laden lows before ultimately growing into speculative-mania-grade popularity, quadruples, quintuples, or even larger gains can be seen. Provocatively silver’s recent late-2015 lows were every bit as extreme as those 2008 stock-panic ones, as we’ll dig into below. 2016’s young silver bull is emerging out of major 6.4-year secular lows where silver was universally despised. So there are very high odds today’s silver bull will grow much larger than average before it fully runs its course. One potential upside target is the middle of silver’s secular trading range. It’s technically a massive ascending-broadening-wedge chart pattern, a mouthful. It’s secular in scale, forming over many years between silver’s secular support and resistance lines. Today the midpoint of this huge formation is $35. That’s not even particularly high, as silver averaged over $31 in 2012 before the Fed’s extreme open-ended QE3 money printing started grossly distorting the markets back in early 2013. A return to just the middle of silver’s secular range would yield a 156% silver bull, far larger than what we’ve witnessed so far in 2016. And technically this target is quite conservative. Past silver bulls have blasted silver up to or above its secular resistance. Today that line is running near $47, which would make for a 243% total bull. Interestingly that’s right in line with the modern-bull average of 227% gains, nothing special. But all silver’s past major bull markets since 2005 ultimately catapulted this metal to major new highs. If that happens again, silver would have to well exceed April 2011’s $48.43 during its next popular-mania bull climax. Considering mean reversions out of extreme lows tend to overshoot proportionally towards the opposite extreme, seeing major new silver highs when today’s young bull goes terminal isn’t a stretch at all. None of these potential technical upside targets matter, the core point is this young silver bull remains tiny. It will almost certainly have to grow much larger before silver peaks and faces the risk of its next bear market. A far-stronger argument for why this silver bull has a long ways to run yet has to do with current silver prices compared to prevailing gold levels. Silver is still way undervalued relative to gold. This is easiest to see through the Silver/Gold Ratio construct. The SGR divides the daily silver close by the daily gold close, although this results in little decimals hard to parse mentally. The same results can be gleaned in a much-easier-to-digest format by using a scale-inverted gold/silver ratio, which I prefer. It yields whole numbers like 69, meaning it takes 69 ounces of silver to equal the value of one ounce of gold. Before 2008’s stock panic, the SGR averaged 54.9. This resulted in that ubiquitous 55-ounce conversion rate used extensively in miners’ financial reporting to convert byproduct gold mined into silver-equivalent ounces or vice versa. During the stock panic, speculative silver cratered far worse than safe-haven gold, so the SGR collapsed to 75.8 during those final months of 2008! Such extremes weren’t sustainable. All throughout the markets, the more extreme any long-established historical price relationship gets skewed the greater the odds a sharp reversal is imminent. And indeed as I warned right after that panic, silver soon started mean reverting dramatically higher relative to gold. Mean reversions out of extremes also tend to overshoot proportionally towards the opposite extreme, which is exactly what happened after the panic. While silver had been battered as low as needing 83.5 ounces to equal the value of a single ounce of gold in November 2008, it ultimately rocketed up to a speculative-mania peak of just 31.7 ounces in April 2011! These extremes were polar opposites, epic fear in the depths of a stock panic ultimately yielding to epic greed at the heights of a popular mania. At both extremes silver’s deviation from norms was proportional. This SGR collapsed 28.6 ounces under that pre-panic 54.9 mean in late 2008 before rocketing 23.2 ounces above it in early 2011. Provocatively despite these wildly-disparate extremes, the normal-year post-panic-average SGR between 2009 to 2012 settled at a similar 56.9. 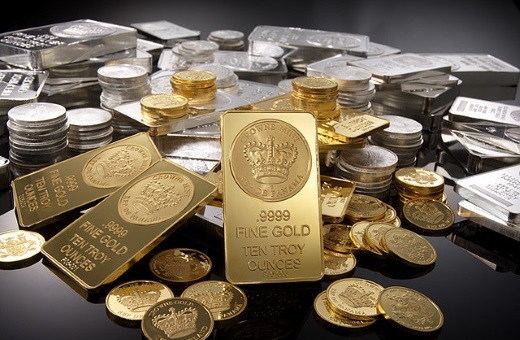 Around 55 ounces of silver per ounce of gold is where silver and gold prices seem to naturally gravitate to. This is a very-bullish omen today! In early 2013 the Fed’s wildly-unprecedented open-ended third quantitative-easing campaign started to levitate the stock markets. Every time they threatened to sell off, Fed officials would run to the podiums to jawbone about more easing. This arrested all material selloffs, leading to a long totally-artificial streak between 2013 and 2015 where stocks did nothing but rally on balance. That devastated silver investment. Silver follows gold, and gold tends to move counter to the stock markets. So investors and speculators alike shunned silver in those dark Fed-distorted years when stock markets levitated on extreme easing and the promise of more. This vexing dynamic ultimately hammered silver to its deep 6.4-year secular low of December 2015. But since silver lagged gold’s early-bull advance this year, the SGR kept falling lower. By late February 2016, the SGR had totally collapsed to 83.2! That was back down to 2008-stock-panic levels, which was the most extreme fear superstorm witnessed in our lifetimes. In the first quarter of 2016, the SGR averaged just 79.5. That was incredibly even lower than the 75.8 seen during those stock-panic months in late 2008. Today’s young silver bull was born in panic-grade extremes of fear and despair! This guarantees silver is almost certain to not only mean revert relative to gold, but yet again overshoot proportionally. That portends radically-higher silver prices in the coming years as this bull matures. With silver still so seriously undervalued today, the upside targets SGR mean reversions and overshoots augur are amazing. Let’s start with the conservative mean reversion back up to that post-panic average. At today’s $1325 gold levels, a strict mean reversion stopping at that post-panic-average 56.9 SGR level leaves silver near $23.25. That’s another 22% higher from today’s levels. But this assumes gold isn’t going to continue mean reverting higher in its own strong young bull market. A really conservative gold target is regaining 2012 average levels before the Fed’s extreme QE3 distortions, which ran $1669 per ounce. At those 2012 gold levels and that post-panic-average SGR, this silver bull’s price target swells near $29.25. That’s another 53% higher from today’s levels, implying the big majority of this silver bull’s gains are still yet to come. That would yield a total silver bull of 114%, right in line with the weakest major bull of the modern era before 2008’s stock panic. But odds are high silver’s mean reversion won’t stop at average. We don’t even need to expect another popular-mania peak, although one wouldn’t be surprising at all. A fairly-modest mean-reversion-overshoot target would see today’s young silver bull ultimately peak at an SGR of 40. At today’s $1325 gold prices, that yields a silver target of $33.25. That’s 73% higher than today’s levels and leads to a total silver bull of 147%, which is still nothing to write home about by modern standards. At a gold mean reversion back to 2012’s $1669 average price, a silver-bull-peak SGR of 40 portends a silver price near $41.75. That’s another 118% higher from today’s levels, and would make for a total bull-market gain of 205%! Again these particular upside targets aren’t definitive, they’re just illustrative. The key takeaway is silver still remains way undervalued relative to gold and thus destined to power much higher. So the recent bearishness generated by silver’s correction is very misplaced. Corrections are normal and healthy in bull markets, they rebalance sentiment by eradicating greed which maximizes bulls’ lifespans. Far from being threats, corrections are the best buying opportunities within ongoing bull markets. And with silver still much too low relative to gold, investors and speculators ought to be buying aggressively. Silver’s coming big bull-market gains can certainly be played with that leading SLV iShares Silver Trust silver ETF, or physical silver bars and coins. But the problem with pure silver plays is they will obviously only pace silver’s gains. Meanwhile due to the great inherent profits leverage in silver mining, the stocks of the elite silver miners will enjoy silver-bull gains greatly amplifying silver’s underlying bull-market run. This has already begun in dramatic fashion. In Q2’16, the elite silver miners of the SIL Global X Silver Miners ETF saw their cash flows generated from operations soar a staggering 135% quarter-on-quarter on a mere 13% gain in the average silver price! So the coming doubling, tripling or more in silver prices is going to translate into vastly-higher gains for the best silver miners’ stocks, since their prices ultimately follow profits. This contrarian realm is our specialty at Zeal. We’ve spent tens of thousands of hours researching silver stocks and markets, so we can better decide what to trade and when. This has resulted in 849 stock trades recommended in real-time for our newsletter subscribers since 2001. Their average annualized realized gains including all losers are running way up at a stellar +23.7%! Why not put us to work for you? We’ve long published acclaimed weekly and monthly newsletters that discuss our trades and market timing. They draw on our vast experience, knowledge, wisdom, and ongoing research to explain what’s going on in the markets, why, and how to trade them with specific stocks. Now is a fantastic time to get onboard, as we have a major new gold-stock and silver-stock deployment well underway to ride the next upleg. Subscribe today! For just $10 an issue, you can learn to think, trade, and thrive like a contrarian. The bottom line is silver is way undervalued today. Its strong new bull market this year is both far too young and far too small to give up its ghost anytime soon. Silver remains quite low in both absolute terms and relative to gold, its primary driver. Silver still has to power much higher merely to mean revert to normal levels compared to today’s prevailing gold prices, let alone where gold is heading in its own bull market. Corrections within ongoing silver bulls are normal and healthy, rebalancing sentiment by eradicating greed rampant at the preceding interim highs. They offer bulls’ best opportunities to buy relatively low ahead of future uplegs. 2016’s silver bull is alive and well despite the recent correction-weakened sentiment. Once gold inevitably starts powering higher again, silver will follow and amplify gold’s gains like usual. Mr. Hamilton, a private investor and contrarian analyst, publishes Zeal Intelligence, an in-depth monthly strategic and tactical analysis of markets, geopolitics, economics, finance, and investing delivered from an explicitly pro-free market and laissez faire perspective. Well Gold and Silver prices is so unpredictable, and it's not for the faint heart. Since these are the products that you can trade day-to-day, and the intense swing of the price can scare anyone.